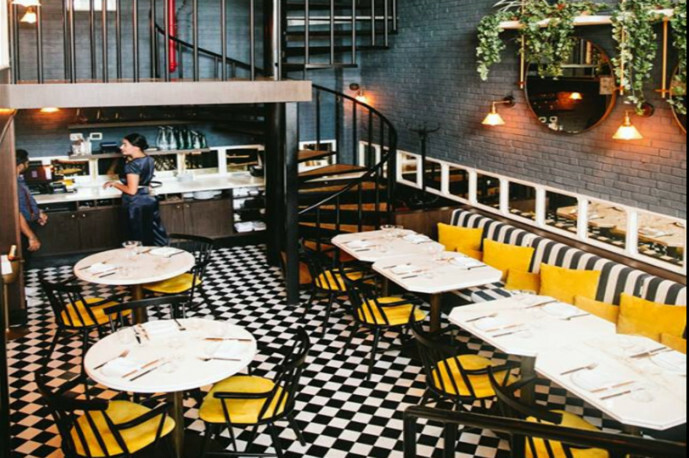 In celebration of BB Social Dining’s first anniversary and to showcase specials, the chef and co-owner, Alex Stumpf, has created a series of new BB secret menu dishes. Just request the secret menu, or show them a dish you can’t recognise from their social media and they can prepare it for you. Items on their secret menu include Wagyu katsu, crispy tuna tartare, salt and pepper calamari, sea bream ceviche ranging from Dh55 to Dh120 and the lamb kofta bao for Dh55. From their BBQ section order secret dishes like wasabi lobster, barbacoa lamb and the truffled rib-eye ranging from Dh125 to Dh195. 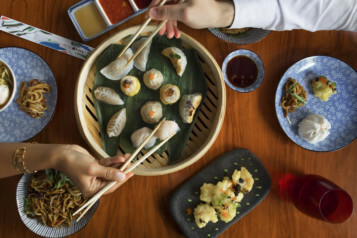 The stylish Sydney-born restaurant, has launched an all-you-can-eat Dimsum Business Lunch Menu for lovers of Japanese and Chinese cuisine. The offer includes more than five varieties of all-you-can-eat dim sums — chicken bao, beef bao, chicken and shrimp dumpling, truffle duck and mushroom dumpling, vegetable dumpling, vegetable gyoza, in addition to business lunch options such as tempura, noodles, fried rice and desserts. Starters include duck noodle soup, wasabi prawns, sweetcorn tempura to mains including chicken udon noodles, Asian mushroom noodles, seafood fried rice, chicken and beef fried rice. Round off your meal with mango and papaya chawan mushi or lemon grass creme brulee for dessert. Sumo Sushi and Bento is introducing four new ‘Chikara Bowls’ in the UAE. The new mixes will showcase fresh and seasonal ingredients that the cooler months have to offer. Following the recently launched Poke Bowls, the new menu additions are created in collaboration with personal trainer Jeremy Gwyer. Each bowl contains 500 kcals or less. Different flavours include the Yasai Bowl, a vegan bowl with greens, legumes, quinoa and fresh avocado, dressed in the new savoury vegan miso dressing. 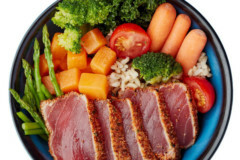 The other option includes the Tsuyoi Bowl filled with kale, sweet potatoes and sustainably caught tuna, to help strengthen and feed muscles either before or after workout. Then the Suji Bowl a protein packed bowl, filled with quinoa, dark greens, black pepper salmon and shrimp. And finally, the Wakamono Bowl, made with veggies, black rice and savoury chicken. 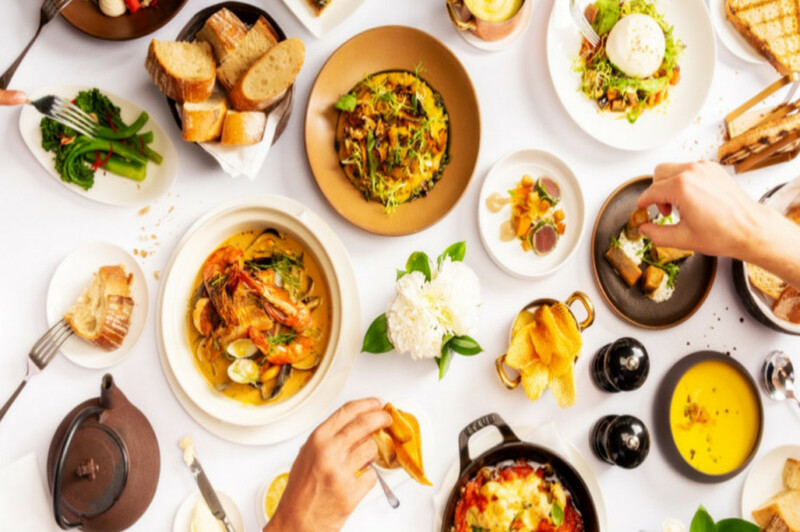 Galvin Bistrot and Bar, a neighbourhood eatery at City Walk presents a refreshed menu for the new season, introducing classic French Bistrot cuisine with an emphasis on simplicity and seasonality. The chef has created a selection of dishes that reflect the colour, warmth and taste of authentic French fare. The restaurant’s lively and relaxed atmosphere invites guests to enjoy sharing style dishes. Highlights include the Galvin bouillabaisse, served with Gruyére cheese and toasted sour dough and the Dibba bay oysters. Another classic from the main course section is the delicious beef bourguignon, slow braised ribs, pommes puree served with hermitage jus, and the Galvin burger deluxe. The new food offering also presents traditional ‘plat du jour’ options that are available daily throughout the week with chef’s specials such as steak and frites, moules marinière, raclette night, fishmonger day and a Saturday roasts.